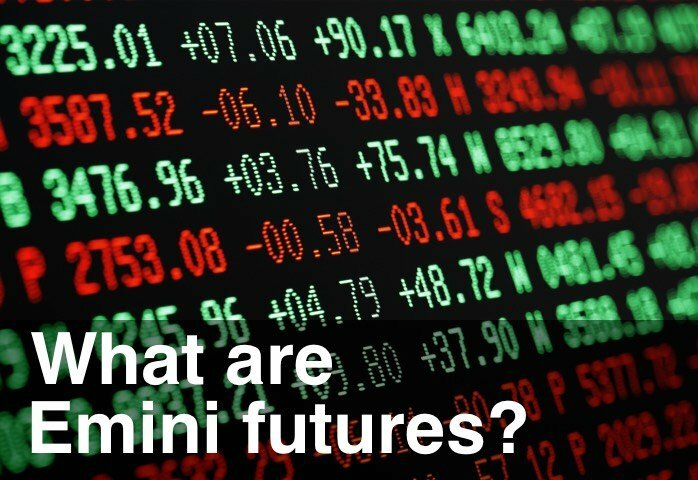 First of all, let me say that I think Emini futures are the perfect trading vehicle and the first hour of trade after the Open (8:30 am – 9:30 am Chicago time) is the perfect time to trade. So if you can arrange your affairs to be able to trade at this time you should. For me that means having a different trading schedule depending on where Mrs. Emini-Watch and I are during the year. From September to December we’re in France and so my trading day starts at 3:30 pm in the afternoon. From January to April we’re in Hawaii and so my trading day starts at 4:30 am in the early morning. And then from May to August we’re in Australia and my trading day starts at 11:30 pm at night. None of these times are ideal – but it’s a tradeoff I’m willing to make to have the lifestyle we have. But what if you’ve got a day job or commitments that prevent you from trading the Emini Open? I’m sure I’ll offend plenty of non-US traders with this statement. Maybe you’re in Mumbai or Hong Kong or Seoul and you’re proud of your local economy, your leading bluechips and your stock market. And you’d respond by saying that your stock market goes it own way – regardless of what happens in the US. But the fact is, our global stock markets have become increasingly correlated. Particularly since 2007 and the onset of the GFC. Sure, the relative changes (betas) between different stock market indices differ. But directionally, they’re all moving closely together. And the smaller indices are waiting for cues from the US stock market. So with the US equity market dictating what happens around the world, for all the different stock markets, the overnight or after-hours sessions of these futures markets become the most important time to trade. For example, in Australia the overnight futures activity will follow the US market and then in the morning, when the Australian stock market opens, the index will gap up or gap down to where the futures say the market should be. And this international stock market behaviour just locks you into trading the US Open – again. Choosing the right kind of market can have a big impact on your trading success. You need to be trading a market with, what I call, the three “ity”s. That is: liquidity, volatility and electricity. 1. Liquidity means that a market is large and deep. It has lots of players and lots of volume traded. This will result in smaller bid/ask spreads and you being able to get in and out of your positions easily. 2. Volatility means that the market actually moves around quite a lot during the trading day. You don’t want to be stuck trading a dull market – you might go grab a coffee and miss the one big move of the day! To some extent the bond market has become one of these dull markets. Yes there are big long-term trends, but day-to-day the bond market is very sleepy (and is increasingly captured by Central Bank intervention). Commodity markets can also be slow – unless there’s a big frost or bumper crop announcement. 3. Electricity means that you want to trade a market that transacts through an electronic exchange. You don’t want anything that’s pit traded; nothing that can be fooled or gamed by people having a “local” advantage. An electronic exchange and electronic trading will give you a level playing field on which to compete. You want to trade a market that is a little bit of a Goldilocks market: something that has a decent move most days; trades lots of volume; and has moved to a electronic exchange. And what you’re left with are the Equity Futures and Forex Futures markets. The chart above shows a 24-hour clock with GMT and the corresponding times in Chicago. So for example, the 8:30 am Open in Chicago is 1:30 pm GMT or London time. Then the 3 major trading sessions – Asia, Europe and America – are shown below with Opening and Closing times. As we roll around the 24-hour clock, we have the Asian markets (Hong Kong, Tokyo, Beijing) opening first. Then the European markets (Germany, France, UK) open next with a little bit of overlap between the Asian markets closing and the European markets opening. Lastly, the American markets (US, Canada, Brazil) open and there’s quite a lot of overlap between the European markets closing and the American markets opening. This is the time of day when the markets are most active – there are the most number of data releases and company announcements – and the greatest volume is traded in equity, bond and forex markets. Traders often email me saying that such-and-such happened at this particular time in the Emini. And what I’ll notice is that the timestamp they are using refers to the time where they are (say New York) not where the Emini is being traded (Chicago). There is a convention that is used and you should be aware of it. Timestamps should use the timezone of the exchange were the market or instrument is being traded. So for equities – which are traded in New York – you should use timestamps with New York time (ET). But for the Emini – which is traded in Chicago – you should use timestamps with Chicago time (CT). And there is a one-hour time difference between New York and Chicago. So again, the dog that is wagging the tail is the US market and what happens in the US is incredibly important. If the US market is going to stage a large reversal, it usually does that before 11 am Chicago time – so the Europeans are at their trading desks and can help drive the move. After 11 am Chicago time market volatility reduces and we decide whether we’re going to have an up or down day and we just stick with the trend from earlier in the day. “I think you should look at Hang Seng futures. They have all the 3 ‘ities and the movement is much better than the Nikkei. Yes, the Nikkei is a bigger market but the Hang Seng market is actually a mask of the Chinese market, which is much bigger.” Daris R.
The two major markets in the European session time zone are the Euro (Forex) and DAX (Equities). The Euro is the largest component of the US Dollar Index and so the Euro:US Dollar cross is incredibly important. The DAX (Deutscher Aktienindex) is the German stock market index and although it’s only based on the 30 largest stocks trading on the Frankfurt Stock Exchange, the index futures market is very active. The only time of day that I would suggest NOT trading is the 2 hours before the end of the American session and the 2 hours after the end of the American session. This is a difficult time to trade – the ranges are smaller because most of the activity has happened earlier in the day. Obviously there are exceptions, like FOMC announcements that tend to be volatile, but be careful during this 4-hour window. “I’m going on three years now living in the NY time zone and trading 6E futures at the London Open at 3:00am EST. I try to be in bed by 10:00pm so that I get 4.5 hours of sleep. I’m up at 2:30am and back to bed again around 4:30 or 5:00am for a one and a half hour ‘nap’. And then lastly to say, these are just my personal opinions. There are obviously other important markets around the world: the KOSPI index in Korea, the SENSEX index in India, Crude Oi has had some great moves over the last couple of years, etc. Pick the market that makes most sense for you to trade. The Emini should be your first choice. It really is the perfect trading vehicle and the Opening hour is the best time to trade. Consider the Yen and Nikkei (or Hang Seng) if you live in the US and want to trade after your day job, or you live in Europe and want to trade before your day job. Consider the Euro and DAX if you live in the US and want to trade before your day job, or you live in Asia and want to trade after your day job. And of course the ‘Better’ indicators work on all of these futures markets. Good luck with your trading.